2 Bedroom Semi Detached House For Sale in Nantwich for £66,000. 40% shared ownership, conditions apply. Looking for an ideal way to get on the property ladder? 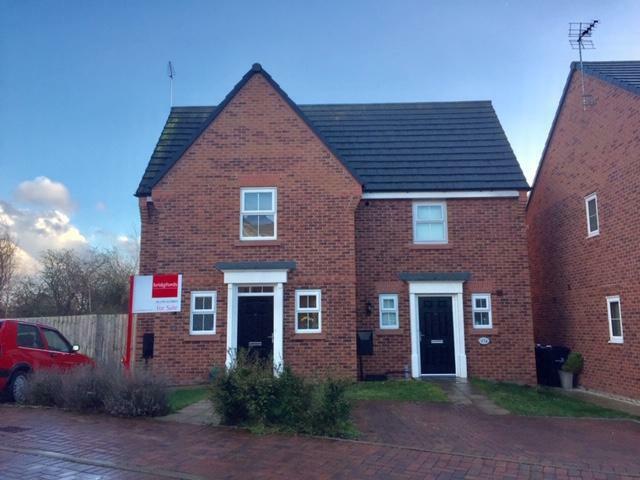 This is a perfect opportunity to buy this absolutely stunning two bedroom semi detached house on the popular Stapeley Water Gardens estate built by the prestigeous David Wilson Homes in 2016. The property comprises of a hallway, open plan lounge dining kitchen and WC to the ground floor. To the first floor, two double bedrooms and bathroom. The property is immaculate, well presented and tastefully decorated. The gardens are landscaped and there is also parking for three cars. Be quick to view, this is a little gem!